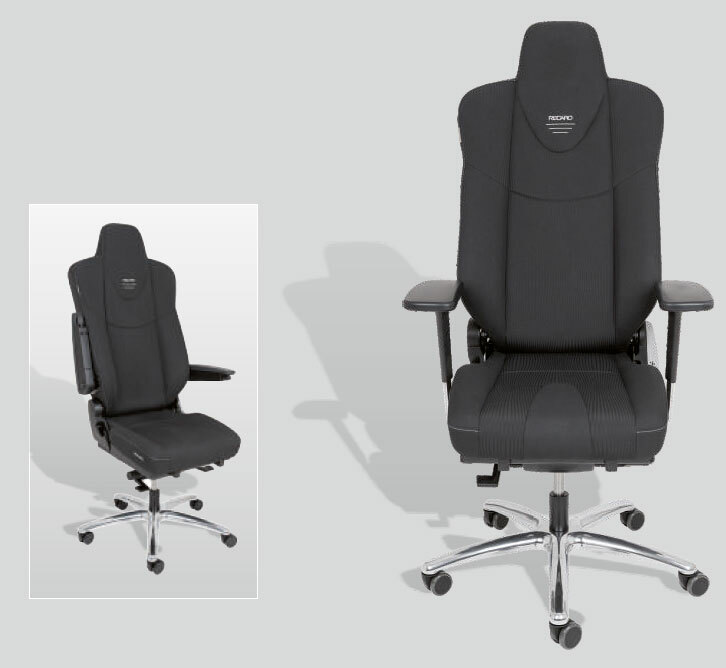 The swivel chairs RECARO Utility XL are designed for the 24/7 use and for the modern XL office workplace. Their high-quality utility vehicle seat has been developed by RECARO for the permanent post in trucks and buses (for aprox. 1.5 millions kilometric performance) and has been modified by cento advanced seating for the 24/7 use and the modern XL office workplace. Its simple adjustment possibilities, the high resilience and the uncompromising RECARO quality turn it into the ideal working equipment in offices and control rooms. The mechanics of the RECARO Utility XL can be adjusted to the weight of the respective user.